1. Netherlands 16 5 1 0 30: 3 1. 2. Argentina 14 4 2 0 15: 4 2. 3. India 10 3 1 2 18: 13 12. 4. England 10 3 1 2 12: 11 4. 5. Spain 13 4 1 1 16: 7 14. 6. Australia 10 3 1 2 19: 7 6. 7. United States 9 3 0 3 16: 14 10. 8. South Africa 5 1 2 3 16: 25 11. 9. New Zealand 13 4 1 1 26: 10 3. 10.Germany 10 3 1 2 17: 11 5. 11.South Korea 9 3 0 3 19: 10 8. 12.China 7 2 1 3 9: 15 7. Europe (6): 1. 4. 5. 10. 13. 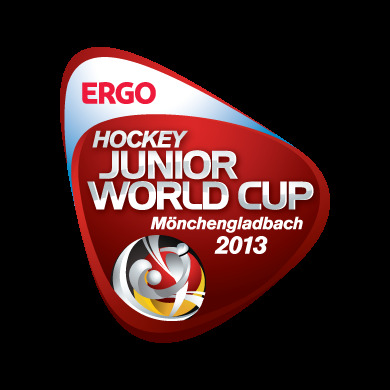 15. from Europe Women Junior 2012. America (3): 2. 7. 14. from America Women Junior 2012. Asia (3): 3. 11. 12. from Asia Women Junior 2012. Oceania (2): 6. 9. from Oceania/Women Junior 2012>. Africa (2): 8. 16. from Africa Women Junior 2012.
reserve: Europe - Russia replaced France after withdrawl.